I know, we are not talking about analytics and no, this is not going to set me as a great data scientist… By the way: have you ever wondered how to list all files and folders within a root folder just hitting a button? I have been looking for something like that quite a lot of times, for instance when asked to write down an index of all the working papers pertaining to a specific audit ( yes, **I am an auditor, **sorry about that): really time-consuming and not really value-adding activity. This is not an easy problem to solve, mainly because you don’t know how many levels of nesting there will be in the choosen root folder and therefore you need to write down something enough robust to handle all possible situations. I have done it for myself, but maybe you will find it useful as well. 2. hit the ‘scan’ button . 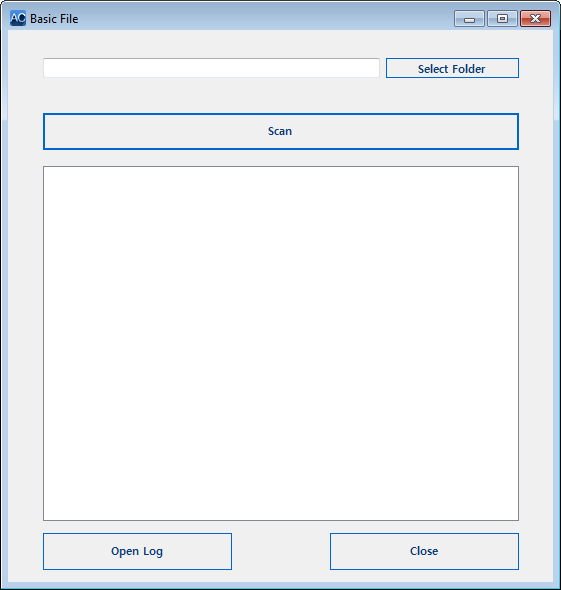 Basic File will let you instantly see the full list within the application. Moreover it will create a ‘log.txt’ file within the root folder with all the files and folder orderly listed. The log is accesible using the ‘open log’ button. You can easily copy the list from the application or from the log and do whatever you want with it. You can download the runnable application ( for Windows only) at the end of the post for free. If you are interested in giving a look to the code, I have uploaded it on the Basic File repository on GitHub. Do you know a faster/better way to list files and folders in a folder? I will be pleased to hear it from you. Thank you JTT! (if you are a command line user). As suggested by JTT (unfortunately I was not able to retrieve your name), Command Line users can easily obtain the same result just using the command line. 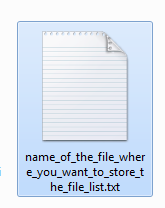 3. look for a file with the given name into the given directory. thank you JTT! As said, all (kind) comments are welcome.